CX Journey™: Should #CX Professionals Care About the Four Moments of Truth? Should #CX Professionals Care About the Four Moments of Truth? What are the Four Moments of Truth? And do they fit into experience design? Last year, I wrote about moments of truth, defining them as: that make or break moment in the customer journey, that moment when, if all goes well, the customer will continue the journey and complete the task or interaction; he will do (or continue to do) business with you. If things go awry, he will not complete the interaction and will go elsewhere. 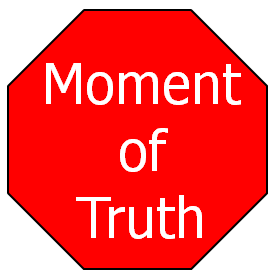 Zero Moment of Truth (ZMOT): This moment of truth was introduced by Google and refers to that moment when people go online and search for what they need/want. First Moment of Truth (FMOT): This moment of truth was coined by P&G and refers to when people first see the product - or its alternatives - they are looking for. Second Moment of Truth (SMOT): Also introduced by P&G, Brian says this isn't just a moment but a collection of moments. This is when the customer uses and experiences the product and the company supports the relationship. Third Moment of Truth (TMOT): Ex-P&Ger Pete Blackshaw introduced this MOT back in 2006, and he basically refers that powerful inflection point where the product experience catalyzes an emotion, curiosity, passion, or even anger to talk about the brand. By opening up that pipeline, we not only absorb insight and deeper consumer understanding but also nurture empowerment and advocacy. Ultimate Moment of Truth (UMOT): Brian coined this term to refer to that moment when customers go online to review or to talk about products and the experience, basically the same thing as that TMOT, and cited that one person's UMOT is another's ZMOT. Interesting. Here's what's interesting: these xMOTs help marketers and advertisers, but they aren't helpful to customer experience designers. I'd say these are more stages of truth than moments of truth. Moments are, well, moments; they are a (brief) point in time. These xMOTs relate more to stages in time, stages in the customer lifecycle, than they do to brief points in time. The xMOTs are focused on the buyer journey and the customer lifecycle, not on the specific steps of a customer experience journey, where a customer is trying to achieve some task. That appears to be the difference between how we refer to moment of truth in customer experience design and these xMOTs. These xMOTs don't tell me what to fix; they might drive my digital/content strategy, though. So, as a customer experience professional trying to redesign the experience, should you focus on the xMOTs? No, they're not meant for that purpose. They're just too high-level to be meaningful for design; design requires details. This reminds me of when I wrote about the differences between lifecycle maps and journey maps: focusing on the lifecycle is high level and is good for understanding the overall relationship the customer has with the organization, from before he's even considered a customer through when he is no longer a customer. To really transform the experience, you need to focus on those specific make-or-break points the customer experiences along the journey to complete some task or to do some job. Details are important. You can't transform something you don't understand. The xMOTs don't help you understand those moments that cause customers to stay or go. They can help you engage with customers, but after you engage, then what? If the experience itself is broken, then your engagement is over. Well put. I was finding myself going down that same path of thinking. They didn't sound like "moments." 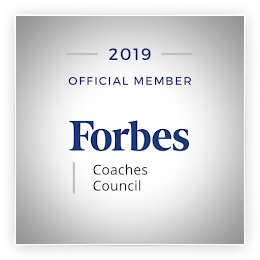 As companies, we can try to provide a certain experience to obtain the more positive moments, but we cannot forget the customer decides what and when the moments of truth are for them.